Karla, a young medical student, is trying to cure her brother, Blake, from a terminal sleep illness called Fatal Familial Insomnia, where you are unable to sleep until you die. On her quest to treat him, a more sinister reason for his condition is revealed. Awoken is directed by Daniel J. Phillips and will premiere on Apr 1st, 2019. 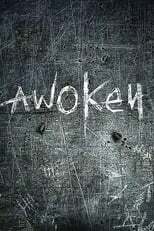 Director Daniel J. Phillips's Horror movie Awoken & was released .